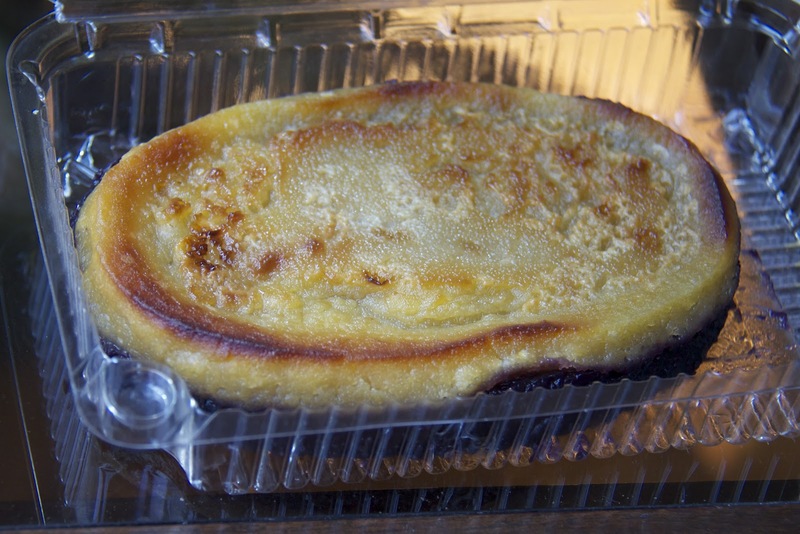 Last weekend, I bought this kakanin from the Salcedo Market. I couldn't distinguish if it was Purple yam (Ube) or if it was Sapin Sapin. It looked delicious so I grabbed it. After almost a week I had a chance to taste it. I discovered that it's Nilupak. Nilupak is like sweetened purple yam but it's made of either mashed bananas or mashed cassava or mashed sweet potatoes. I'm not used to having nilupak in a this elliptical shape but shape aside - it's definitely nilupak. looks yummy! i haven't tried nilupak yet.